Our Responsible Tourism initiative – Shark Warrior Adventure Centre is located on Seaforth Beach just outside Simon’s Town and is home to a colony of around 150 endangered African Penguins. As a breakaway colony from the neighbouring Boulders Penguin Colony, this population of birds is supposedly protected as they are located within the Table Mountain National Park MPA. However, these penguins receive no protection and are subjected to daily harassment at the hands of thousands of visitors each wanting to get that #penguinselfie pic. Numbers of international and local visitors has grown exponentially and this growth in visitors to the colony is putting renewed pressure on the penguins. As a result, AfriOceans has become these penguins’ guardians as we have acted to limit human interactions that are clearly affecting these wild birds. 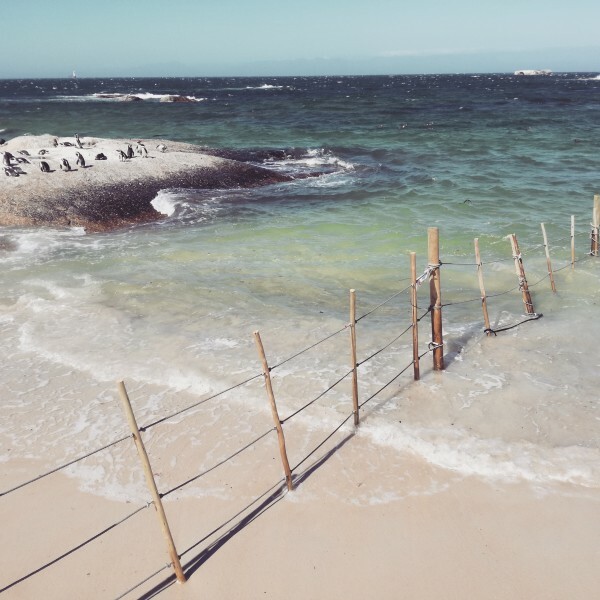 With funding from SANCCOB and the City of Cape Town, we constructed a barrier around their favourite rocks to keep unwanted ‘selfie hunters’ from invading this crucially important “safe space” for the penguins, and have also expanded the area to prevent trampling of the adjoining coastal dune area. Subsequently, the Penguin Barrier has made a huge difference towards ensuring the safety of the resident penguins, as well as greatly improving penguin viewing conditions. Together with ongoing monitoring, retrieval of land and marine debris and daily positive reinforcement of the critical importance of affording the penguins their rightful place in the sun, this project is proving highly successful and will be continually expanded and improved upon. Together with Airbnb Social Impact Experiences, we have some exciting new projects in the planning stages that will seek to further enhance the penguins’ living conditions and continued survival. We would gladly welcome assistance in funding of further fencing, educational signage and the establishment of a Penguin Guardian Volunteer Programme.